Our 2018 Season has been our best yet despite conditions that were, for much of the year, pretty awful for carp fishing. We experienced the driest summer on record with extreme temperatures that saw the lake showing our water reaching in excess of 30c at a 5ft depth !! Pretty extreme. Low oxygen levels were a factor at times, although our aeration system coped with most situations, however we did lose some pike from the high temperatures and during the season. This year we saw the heaviest bout of spawning we have ever experienced at Le Moulin du Mee with most of the stock successfully getting rid of their spawn and just 9 carp being lost to complications at this difficult time. The heavy spawning also resulted in significant weight drops across the board although by late summer weights were recovering nicely and by autumn we were once again seeing most of the carp back up to top weights and in stunning condition. 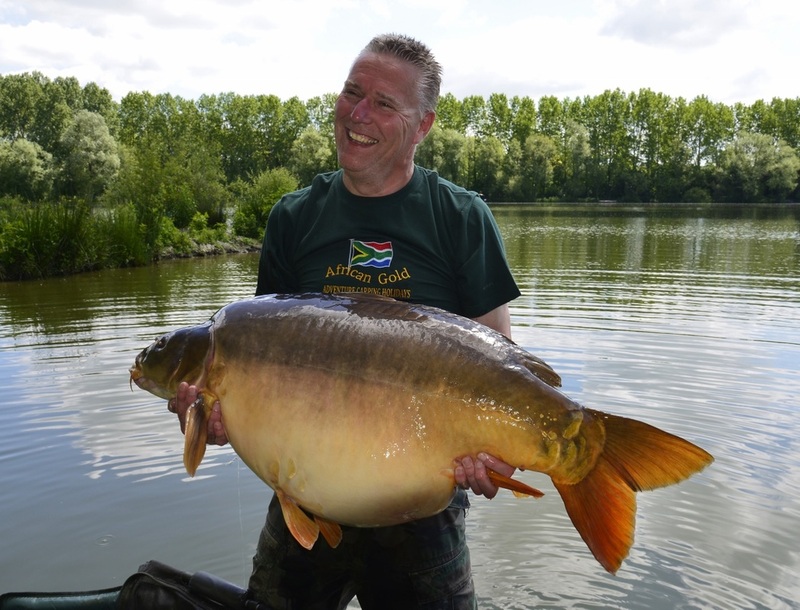 156 carp in excess of 50lb including 34 x 60lb+ fish and a best of just over 70lb. Current growth rates would indicate that in the 2019 season we should be seeing a good number of the big 40's caught this year moving up to the 50lb+ category with a lot of the 50's due to break the 60lb barrier as well. Anything bigger than that will be a pleasant bonus but with a good number of this years 60's showing up at over 65lb we believe we could be in for a nice surprise or two in the new season. We are fully registered and insured for all activities that take place at Le Moulin du Mee.